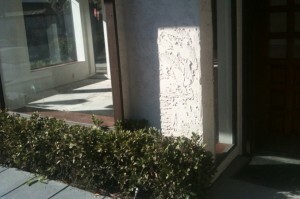 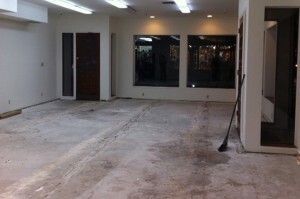 was bare bones sidewalk retail space. 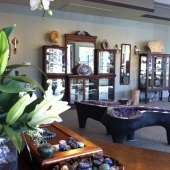 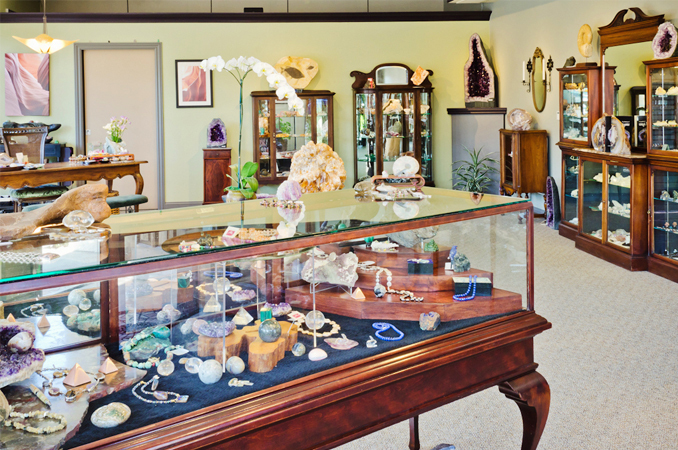 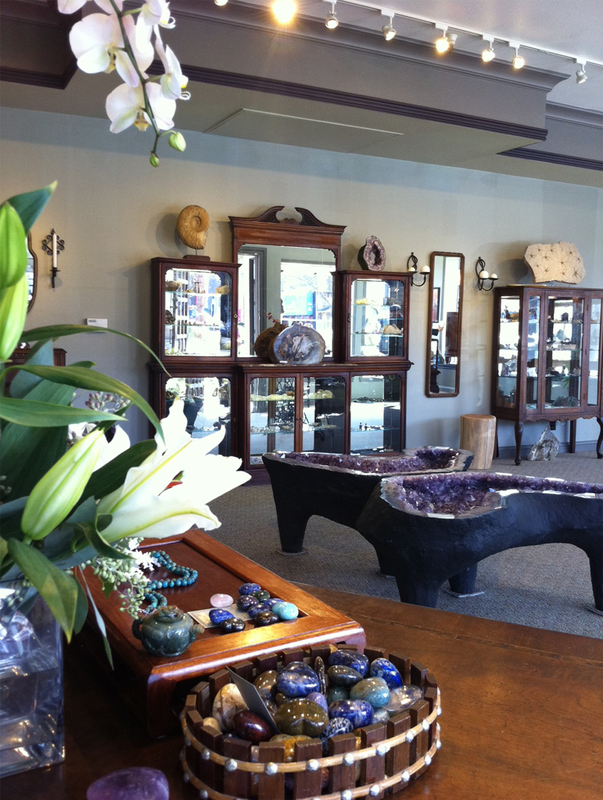 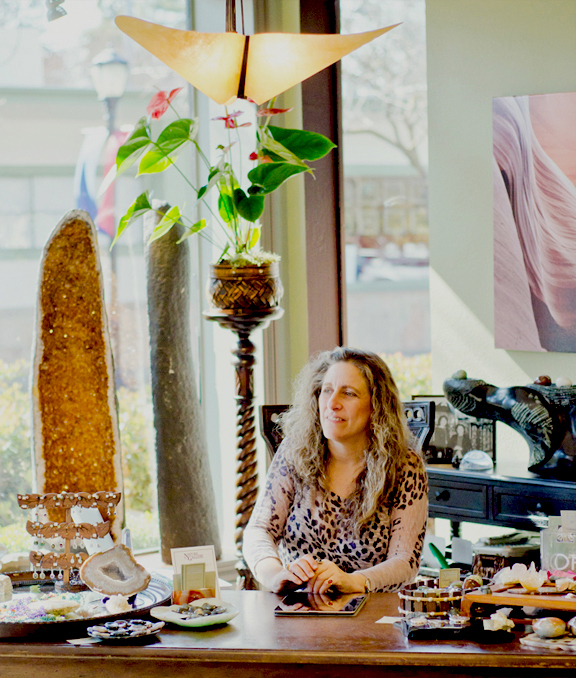 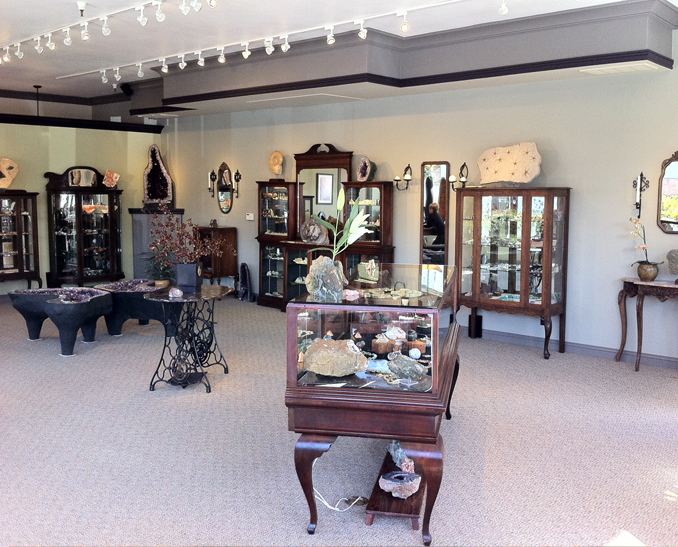 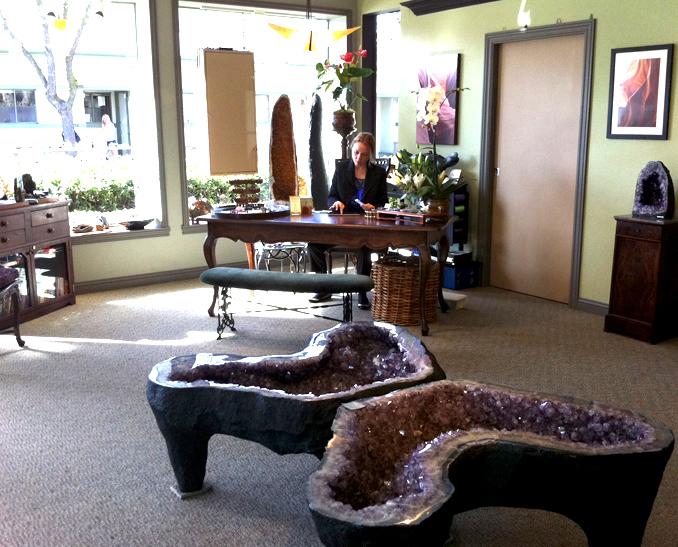 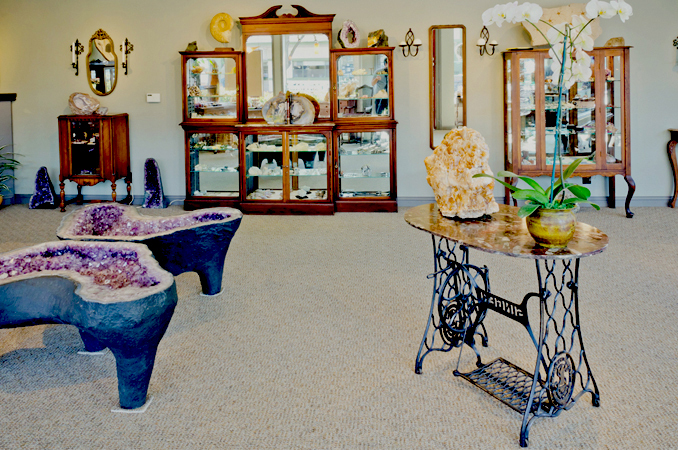 Share my anticipation of pleasure; the inspiration to work with world-class gems, fossils, crystals and stone And not your river bed variety stones, but one-of-a-kind ’earth pieces.’ Treasures that can change energy. 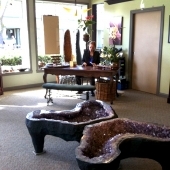 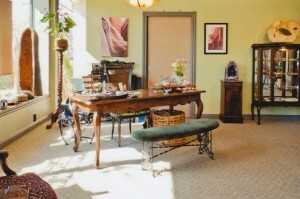 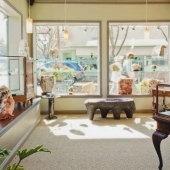 My interior designer’s challenge was to combine these ‘understandings’ of geology with feng shui principals to create a presentation of wholeness of spirit emanating from Carol’s constantly renewing displays of ‘earth pieces’ that welcome the shopper, inspire the gift-giver and inform the collector. 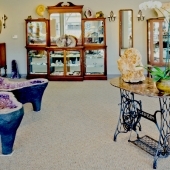 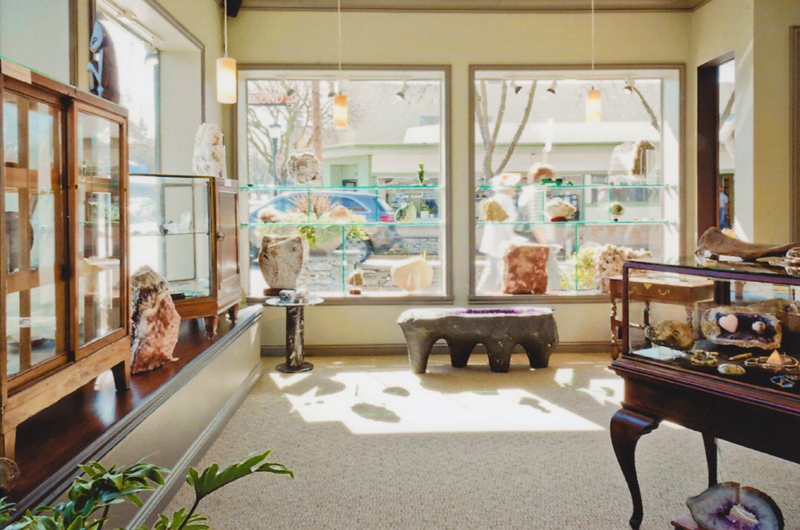 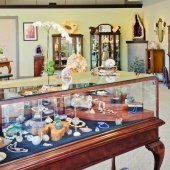 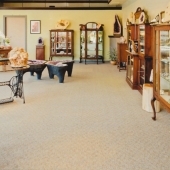 To contrast and complement these natural treasures, I selected French and American antiques…chose furniture…art pieces…carpet and a palette of paint colors to affirm the unity of this ever-changing collection with geological time and astronomical space…all housed in a small Los Altos, California storefront. 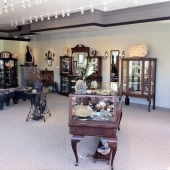 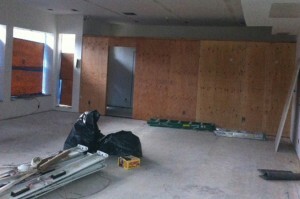 I designed custom display cases, crown molding and baseboard. 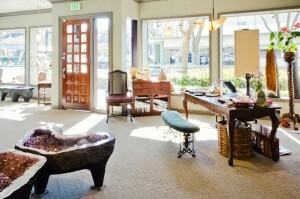 I optimized lighting from chandelier, point-focus lights with the soft ambience from the large windows. 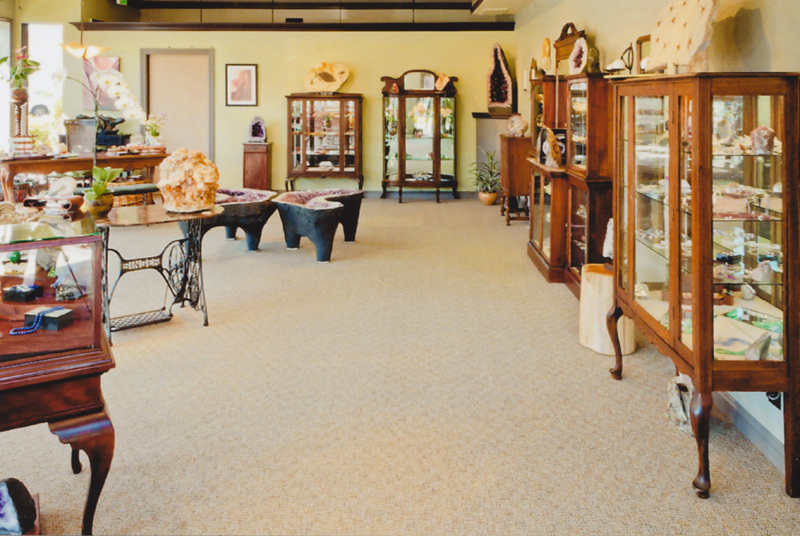 Area planning, including adding a new partial wall, now allows this commercial space to reconfigure and host community and private functions. 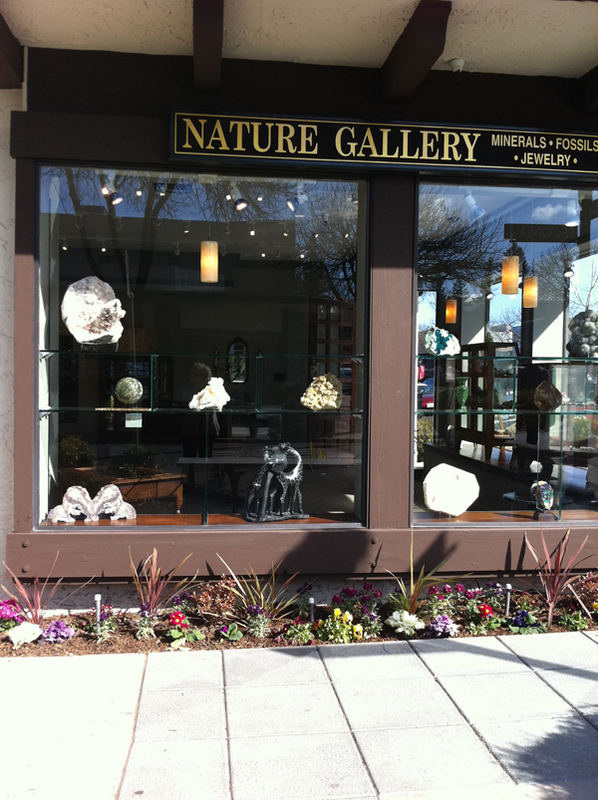 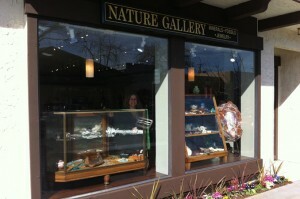 To learn more about The Nature Gallery visit their website.